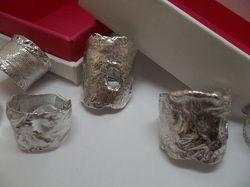 Take a lost and lonely antique silver item and turn it into contemporary jewellery. 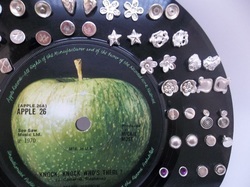 The ultimate in upcycling! 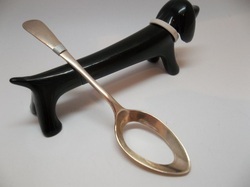 One-off pieces are created from spoons, sugar tongs, napkin rings and all sorts of other solid silver items. Many are hallmarked with dates from 1800's to mid 1970's. Stapleford Silver is still booking events for 2019. For more details, go to Events page. This website shows examples of my work. If you are interested in purchasing any of the items or having something made to your specifications, send me a message via the CONTACT page. Individual commissions welcomed.